Gaming On Windows 7: Do You Need to Upgrade? One of the greatest benefits of running a Windows PC instead of Linux or Mac is the wide range of video games you get to play. On computers, Windows is the undisputed king of gaming. But should you be running Windows 7 or the brand new Windows 10? A recent survey by Steam found that Windows 7 and Windows 10 are the most popular operating systems (OS) for gamers. Put aside gaming and there are some compelling reasons to upgrade to Windows 10 10 Compelling Reasons to Upgrade to Windows 10 10 Compelling Reasons to Upgrade to Windows 10 Windows 10 is coming on July 29. Is it worth upgrading for free? If you are looking forward to Cortana, state of the art gaming, or better support for hybrid devices - yes, definitely! And... Read More if you haven’t already, but like with any new OS, there are still some bugs and kinks that need to be worked out. Microsoft hasn’t forgotten about its loyal base of gamers while making what it calls the “final operating system. Windows 10 Is the Last Version of Windows. Ever. Windows 10 Is the Last Version of Windows. Ever. Microsoft is sick of you not upgrading, and has a solution: Windows 10 will be the final "version" of Windows. Ever. This could mean that you will never again have to buy Windows. 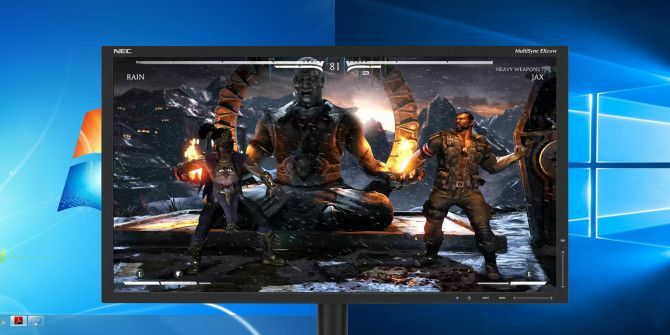 Read More ” It has baked in six gaming features in Windows 10 Windows 10 Is for Gamers: 6 Features You Will Love Windows 10 Is for Gamers: 6 Features You Will Love You will want to use Windows 10 for gaming! Whether it's streaming your Xbox One games to your PC, using the Xbox app, or enjoying high performance gaming with DirectX 12, Windows 10 enhances your... Read More that every #PCMasterRace follower will love. From native support for the Xbox One controller to built-in screen recording and screenshots, these are some impressive additions. But that said, you can still get these on Windows 7 computers. You can connect an Xbox 360 controller to your PC Everything You Need to Know About Buying a Controller for PC Gaming Everything You Need to Know About Buying a Controller for PC Gaming A decade ago the controller was a definitive line separating PC gamers from their console brethren. PC gamers used keyboards, console gamers used controllers, and there was very little overlap between the two. Times have... Read More or even a PlayStation 4 controller How to Use the PS4 Controller on your Mac or PC How to Use the PS4 Controller on your Mac or PC Want to use your versatile PS4 controller with your Mac or PC? It's easier than you think! Here's how to do it. Read More . Software like FRAPS makes it easy to capture videos of your gaming conquests How to Take Videos & Screenshots of Games in Windows How to Take Videos & Screenshots of Games in Windows You want to document your game progress, but when you hit PrtSc on your keyboard, all you get is a snapshot of your desktop? Here's how to take video game screenshots. Read More . Bottom line: It’s nice that these features come built into Windows 10, but you aren’t completely losing out if you’re running Windows 7. 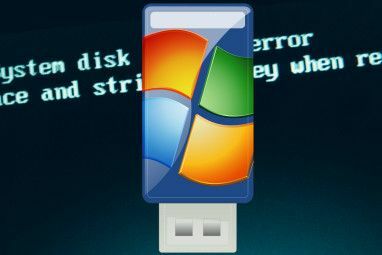 Some of the best Windows tools The Best PC Software for Your Windows Computer The Best PC Software for Your Windows Computer Want the best PC software for your Windows computer? Our massive list collects the best and safest programs for all needs. Read More will ensure you don’t get left behind. The only Windows 10 feature that can’t be easily replicated in Windows 7 is its deep connection with the Xbox One console. Microsoft has worked hard to ensure that the Xbox One and Windows 10 work well with each other, and seem like one continuous system. Xbox One users can enjoy two major benefits of upgrading to Windows 10. The first is Cross-Platform Play Here's How Gaming Will Work With Windows 10 Here's How Gaming Will Work With Windows 10 With Windows 10, Microsoft is bringing PC gaming and the Xbox One together in a big way. Find out what to expect once Windows 10 arrives. Read More , which lets Xbox One users and Windows 10 users get into multiplayer matches together. Microsoft has basically made the architecture of Windows 10 so similar to Xbox One that developers can build games for both platforms at the same time. It’ll still be the developer’s choice whether they want to let PC and console players compete with one another, but it’s great that some games will definitely offer it, like Minecraft Windows 10 Edition and Fable Legends. The second benefit is something called Game Streaming. With this, if someone else is watching TV and you want to get your game on, then your Xbox One can wirelessly stream your game on your Windows 10 PC or tablet. You’ll need the Xbox One controller to play, but as long as you have both console and PC set up on the same 5GHz Wi-Fi network, you can start playing your game. And don’t worry about your PC’s graphics card, the Xbox One is doing all the work, your PC is only acting as a streaming device, almost like a Chromecast. Bottom Line: Game streaming and cross-platform play, apart from other features like built-in controller support, make Windows 10 a better OS for anyone with an Xbox One. But if you have another console like the PlayStation 4 or Xbox 360, you won’t notice any difference. 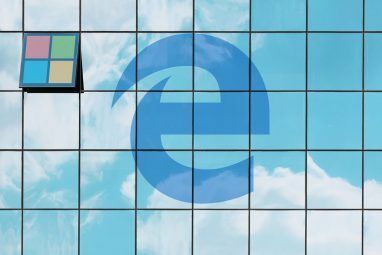 Windows 10 is the only operating system to support DirectX 12, the latest iteration of its API that lets developers access a PC’s hardware more easily. And tests have shown that DirectX 12 is far superior to DirectX 11, which is what you’ll get on Windows 7. In the long term, it’s a no-brainer. You absolutely should go for Windows 10 to get DirectX 12’s goodness. But right now, things aren’t so simple as there are a few caveats. Game developers haven’t yet started taking advantage of DirectX 12. It’ll take some time and all future games will soon use DirectX 12, but at the moment, you can get by on an older system with DirectX 11. Also, you need certain hardware to support DirectX 12. If you have an Nvidia graphics card, you need a GTX 400 or newer card—basically, anything with Fermi architecture. If you have an AMD graphics card, you need an HD 7000 or newer card—anything based on GCN architecture. If your Intel PC has onboard graphics, then you need Intel Haswell or better CPUs So What's the Difference Between Intel's Haswell and Ivy Bridge CPUs? So What's the Difference Between Intel's Haswell and Ivy Bridge CPUs? Looking for a new computer? 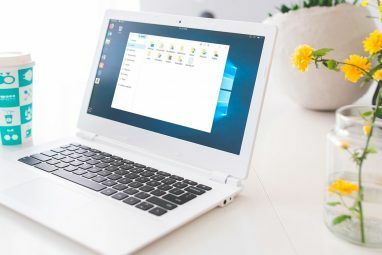 Those shopping for a new Intel-powered laptop or desktop need to know the differences between the last and the latest generation of Intel processors. Read More . Bottom Line: DirectX 12 will make Windows 10 worth it eventually, but perhaps not right now. More importantly, check if you have a graphics card that supports DirectX 12 before upgrading for that reason alone. Every new version of Windows changes some core aspects of the operating system. At times, this means trouble in running software—especially games—that were made for older versions. You can run old games with Compatibility Mode How to Run Old Games & Software in Windows 8 How to Run Old Games & Software in Windows 8 One of Microsoft's big strengths -- and weaknesses -- is their focus on backwards compatibility. Most Windows applications will work just fine on Windows 8. This is especially true if they worked on Windows 7,... Read More , but it won’t always work properly. With new games, this won’t be a concern at all. However, some older games do have trouble. Case in point, when I tried installing Star Wars: Republic Commando using compatibility mode, it just wouldn’t work. Compatibility mode can also lead to a few bugs and crashes. It’s not a deal-breaker, but it can be annoying. Similarly, you can have some issues with driver and firmware updates with certain hardware. Windows Update can be a bit wonky in how it behaves—sometimes it’s too aggressive, sometimes it’s not. It’s best if you take control of driver updates in Windows Take Back Control Over Driver Updates in Windows 10 Take Back Control Over Driver Updates in Windows 10 A bad Windows driver can ruin your day. In Windows 10, Windows Update automatically updates hardware drivers. If you suffer the consequences, let us show you how to roll back your driver and block future... Read More . Bottom Line: At the moment, Windows 7 is a little more stable than Windows 10, especially for older games and legacy hardware. This is a short-term issue though, and Windows 10 should catch up to the same standards soon enough. So Should You Upgrade or Wait? To me, the answer is pretty clear. Windows 10 is definitely an upgrade every PC gamer should go in for, especially considering that it’s completely free. The only question is when you should upgrade. If you’re happy with your Windows 7 system right now, then go ahead and stick with it. You aren’t really missing out on anything ground-breaking. But at some point while it’s free, take the plunge and get Windows 10. Remember, Microsoft is offering free Windows 10 upgrades till July 29, 2016 How to Upgrade to Windows 10 Now & Why You Should Wait How to Upgrade to Windows 10 Now & Why You Should Wait Have you been waiting patiently since July 29 for your Windows 10 upgrade? You should probably wait until you receive an official notification, but if you are determined, you can force the Windows 10 upgrade. Read More , so you will have to make a decision before that. If you have upgraded from Windows 7 to Windows 10, we want to know what your experience has been. Have you noticed any major improvements or features that you think are worth the upgrade? Is it just like running Windows 7 and you don’t see what the big deal is? Share what you think in the comments below! Explore more about: Windows 10, Windows 7, Windows Upgrade, Xbox One. I did the free upgrade to Windows 10 from Windows 7 back in July or so. Once it finished my computer was missing a lot of important information that it said it would save. About half my files were gone. It had bugs and glitches and I hated it. I did the auto feature which lets you switch back to your old system for free. I lost about 1/3 more files by switching back to the old system. A few days later my computer completely crashed and I had to buy a whole new computer. It sucked from start to finish. lol.. running eq2 and win10 crashes every few minutes of playtime... sometimes it crashes a few seconds after logging onto computer, after coming back from a crash. sooooo buggy. :\ looking to buy win7 now, my patience is up. I always enjoyed Windows ME. I hope they bring that back. Windows 7 until they pry it from my corpse. sit on 7 for a while longer, as 1o is still a bit too raw.